Welcome to Reawaken Right Relationship, where we talk about cultivating reciprocal, respectful relationship with all sentient beings rather than ones based on power over another. Episode 20: What Do Words Have To Do With It? Episode 9: But I Thought My Totem Was A Cardinal! What happens when you think an animal is your totem and it's not. Is it better to learn animal communication by yourself or in community? What is meant by right relationship? And how the heck do you reawaken it? In this week's episode that's our topic of conversation. 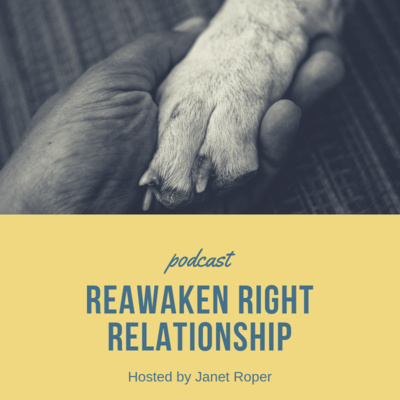 There are examples of how right relationship evolves (for instance, no longer keeping your dog outside, chained to a tree) and I leave you with 6 steps to reawaken right relationship that you can start using now. Before delving into the core of right relationship, you'll hear the back-story of what motivated me to create this podcast. Bottom line of right relationship: We All Do Better When ALL Creatures Do Better. Make 2018 the year you make a friend of your intuition! Episode 5: Why Call The Animal Communicator? 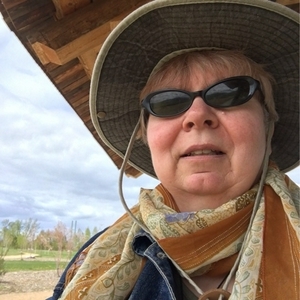 Journalist Ashley Hawthorne interviews me, talking about animal communication. Throughout the years I have worked with people and their animals, I have discovered that the area where folks most often need support and are most reticent to ask is when they are grieving the loss of a beloved pet. In the hustle, bustle, traditional joy and excitement of the holidays, the topic of pet grief is considered a downer and therefore avoided. After all, who wants to be talking about a downer subject amidst all the festivities? The person who is experiencing pet grief, that’s who.